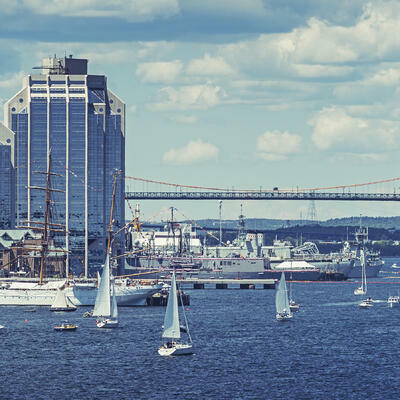 The Ivany report makes it very clear: if Nova Scotia businesses are to be truly successful at growing our economy, they need to focus on exporting. Nova Scotia's a wonderful place to live, but it's not a market. The good news is that it's possible to market and sell well beyond our borders without requiring a physical presence outside of the region. Inbound marketing and selling helps your prospects find you. It reverses the polarity of the sale. Join us for this panel exploration of how you can implement inbound marketing and expand the reach of your business. Don't miss out on this remarkable opportunity to learn more about inbound marketing! Keep up on the chatter! Follow #IMW15 on Twitter for more updates on this event. Inbound Marketing Week, powered by HubSpot, is a series of global inbound marketing events focused on enabling professionals to share knowledge and ideas about their marketing strategy. Inbound Marketing Week 2015 will take place on the March 2nd - 6th.